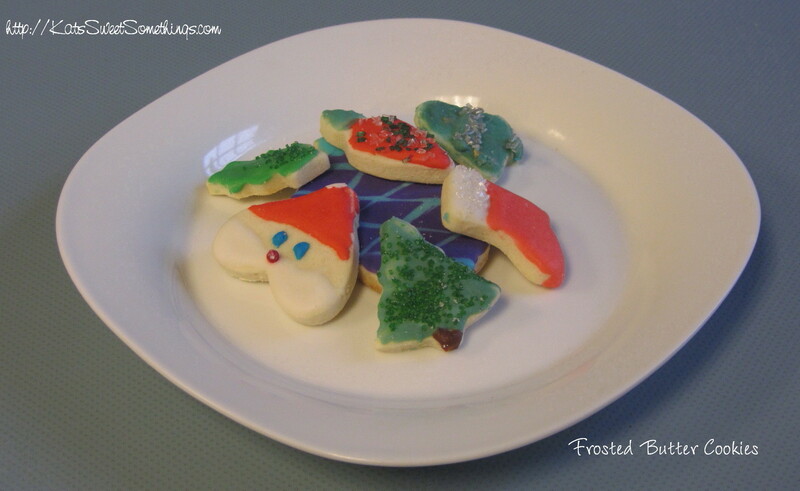 Every year, there is a tradition in my family of baking all the holiday cookies over the first weekend in December. 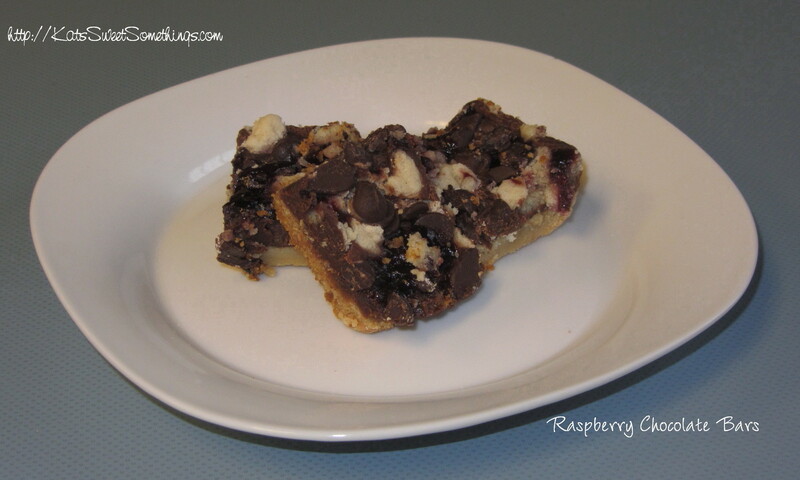 It’s called “Cookie Bake” (and sometimes “Cookie Insanity”). This started back in 2004 with my cousin and I doing this alone – all in a Chicago apartment kitchen (ever seen one of those? They’re not all that big). Now it has evolved to include my mom and dad (my dad being the dishwasher and go-fer), as well as anyone else we can bribe and/or threaten into helping us (sometimes an aunt, sometimes a friend). We run three mixers, three ovens and just go and go and go until everything is done and boxed up. Every year we get rid of a few cookies and try some new ones, unless something is truly spectacular (more on that later). This year, due to price of ingredients and all that includes, we decided to try to make less batches, but smaller cookies (so hopefully we’d still end up with crazy amounts of cookies). 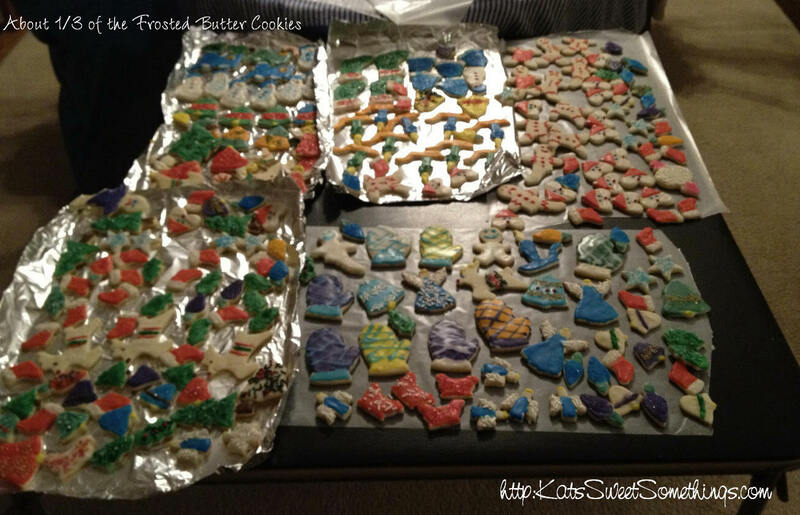 Final tally for 2011 (including my guesstimations on some cookies): 2,467 cookies. Yup, you read that right. And that’s probably totally under-estimated. What we do is take two full days and divide and conquer. Over the past couple years, we have kind of gotten it down to a pretty good order – all roll-out cookie doughs are made first so they have time to refrigerate, anything that takes up a pan for a while (e.g. Saltine Toffee) gets made at the end of the first day so it can sit overnight and we get the pan back in the morning, and anything that takes a long time to bake (e.g. biscotti) we try to bake over meals when nothing else is in the oven or in the way. 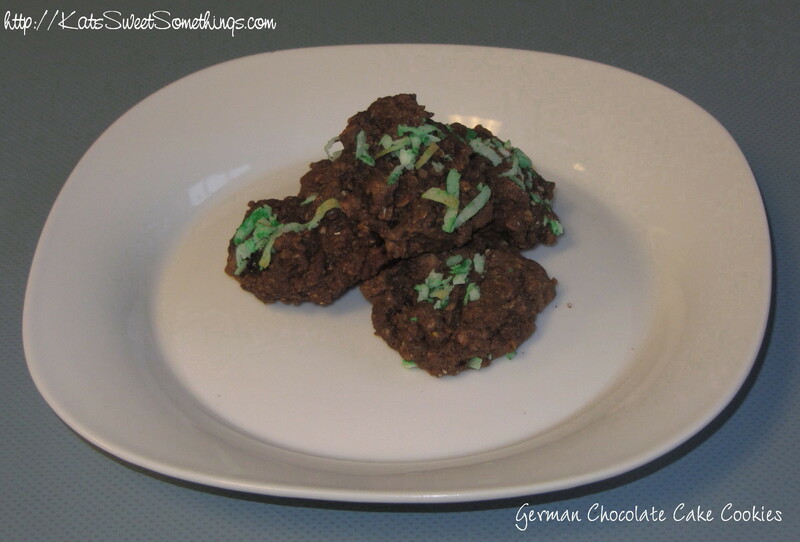 In the past we’ve also made things like Ritz Thin Mints and Peanut Butter cookies – but this year we tried to eliminate the “infiltrator” cookies – the ones that you seem to have to keep in a separate room because their flavors can destroy all other cookies when they’re too close – so goodbye mint and peanut butter (although both were good). 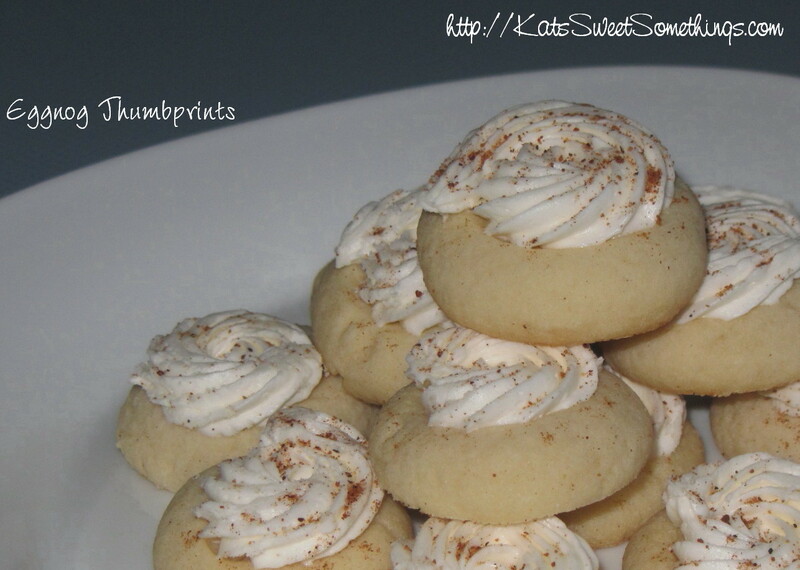 One of the cookies that ended up being exceptional a year or two ago is the Eggnog Thumbprint cookies… they are so unbelievably good. And contrary to the name, they actually have no eggnog in them at all. 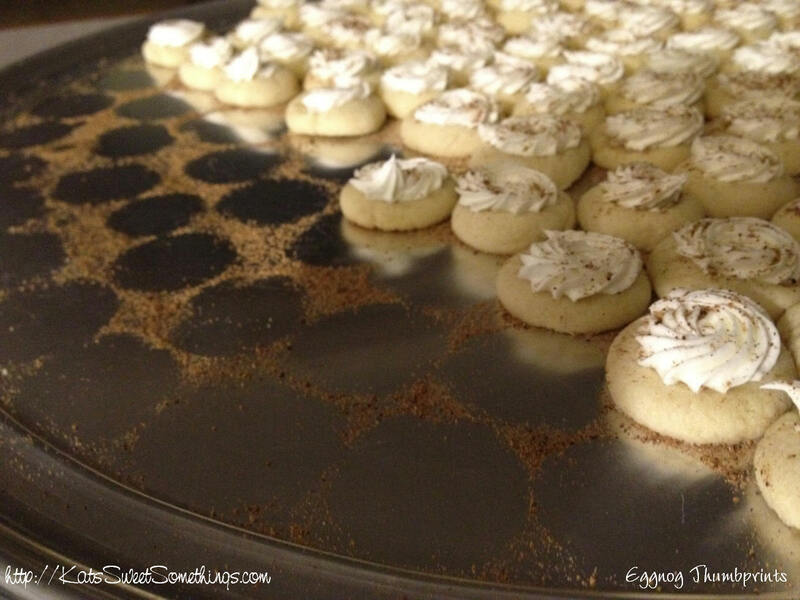 It’s actually a basic shortbread cookie, but the filling is a combination of rum, butter, and powdered sugar, then sprinkled with nutmeg. Di-vine. 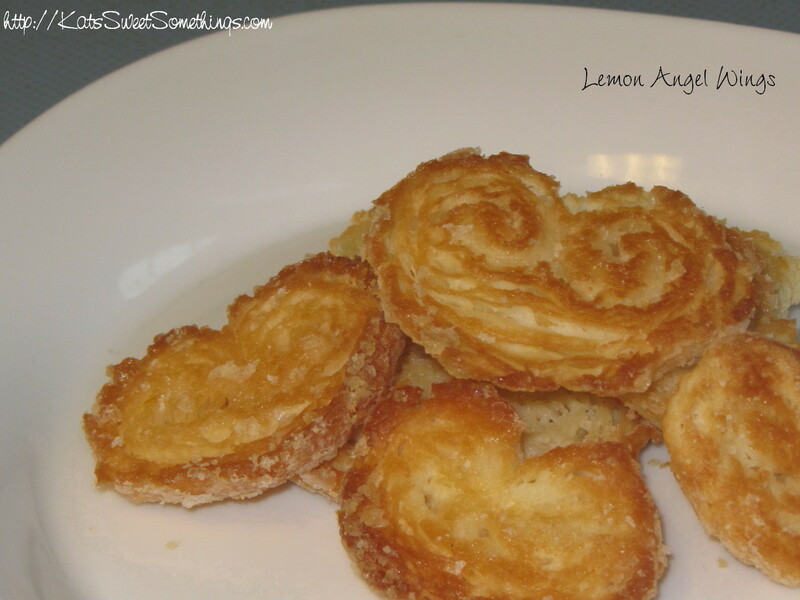 A staple that we’ve been making in my family probably since I was around 3 are potato chip cookies. 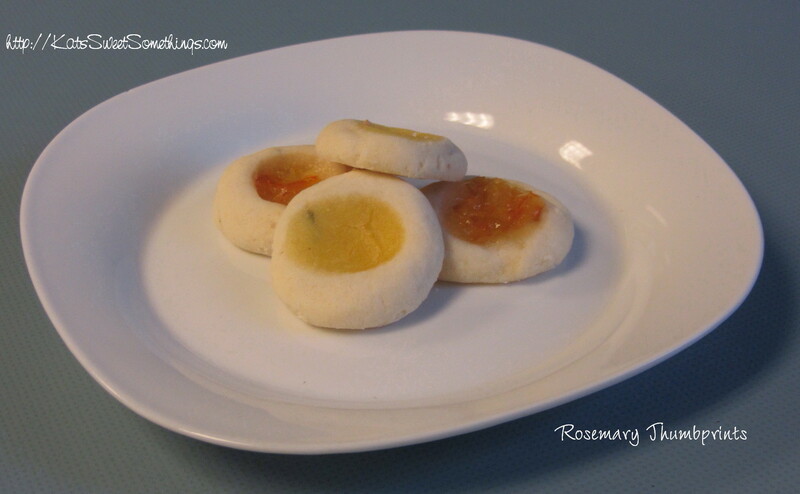 If you have never heard of them – listen up: these are one of the best cookies EVER. These cookies actually do have crushed potato chips in them, and end up tasting like a super light, rich, butter cookie. They are in no way good for you, but hey, it’s the holidays, right?? 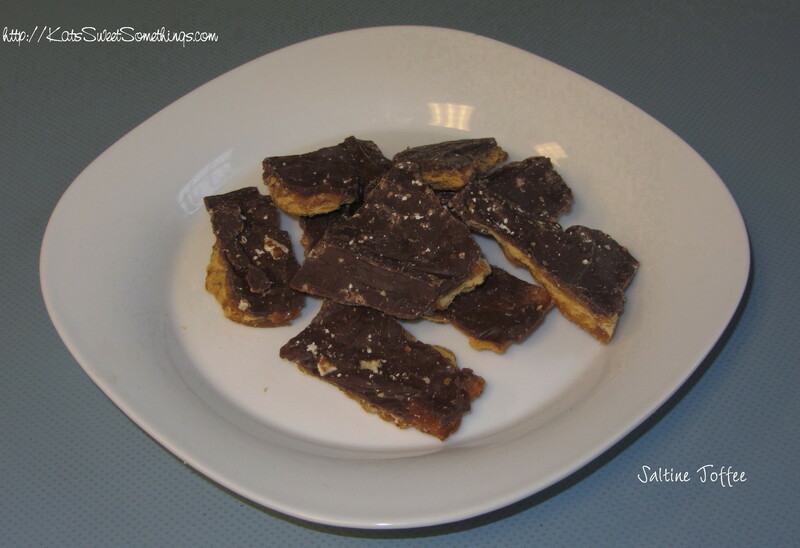 Another good one are the Caramel Shortbread Squares – basically a homemade Twix bar. They’re a little tedious because of the layers, but all in all pretty easy. I think the hardest part is cutting them up, because refrigerated caramel is a beast and doesn’t give itself up very easily. A sharp knife and some willpower will bend it into submission, which is good – because it’s definitely a favorite among my friends! The last one I’ll mention is the biscotti – one type if my favorite, the other everyone else’s. For the first time this year, I made almond biscotti. Typically I adjust the recipe and use hazelnuts instead, but finding hazelnuts at this time of year is a pain in the patootie, so almonds it was. Personally, I’m not the biggest fan of the almond biscotti – I just don’t think of almonds as having much flavor, whereas hazelnuts seem to add a very rich flavor to the mix. 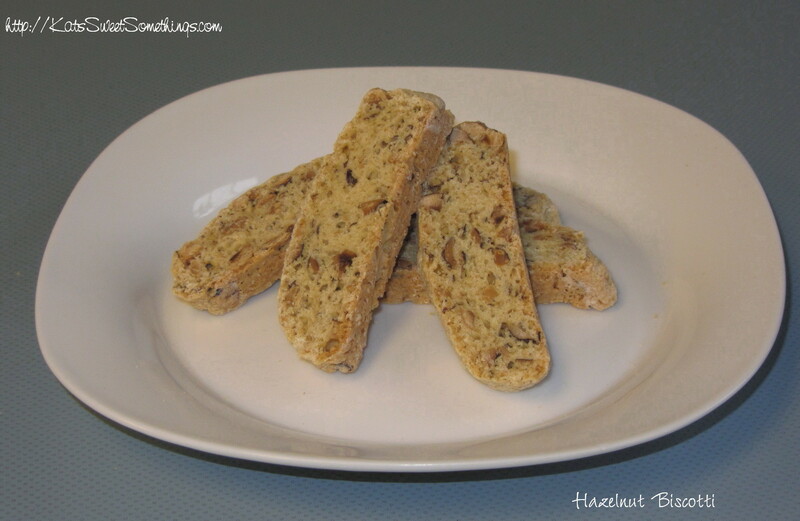 Therefore I hunted down some hazelnuts and made some hazelnut biscotti on my own time this year! 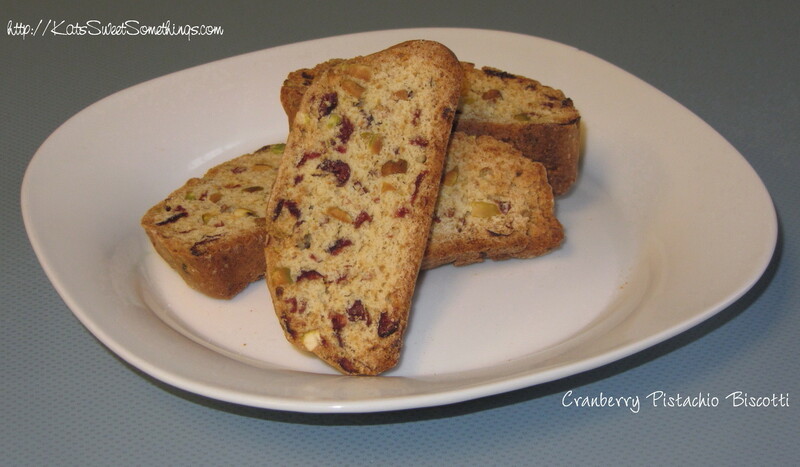 The cranberry-pistachio biscotti, however, tends to be a favorite among almost everyone besides me (or everyone who loves Craisins). The one thing I absolutely adore about this biscotti is the coloring – when it’s sliced, you have all the little green and red bits, and it just looks like Christmas in a cookie 🙂 So cute. 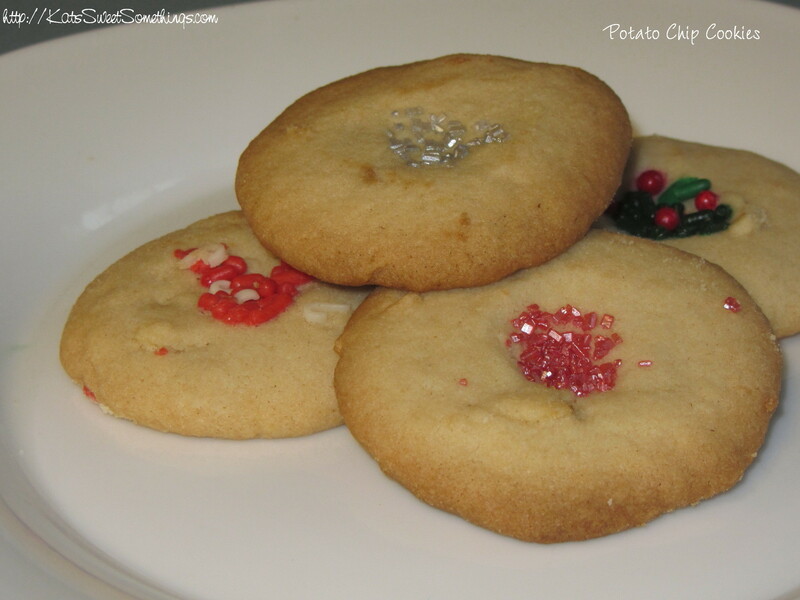 Because of ALL the recipes we did this year, I decided not to include them in my post, but created a new page that includes all the cookie recipes that I list – here. If you have any holiday cookies that you’d like to share, please let me know – I’m always looking for some new cookies to try! Happy Holiday Season to you all! 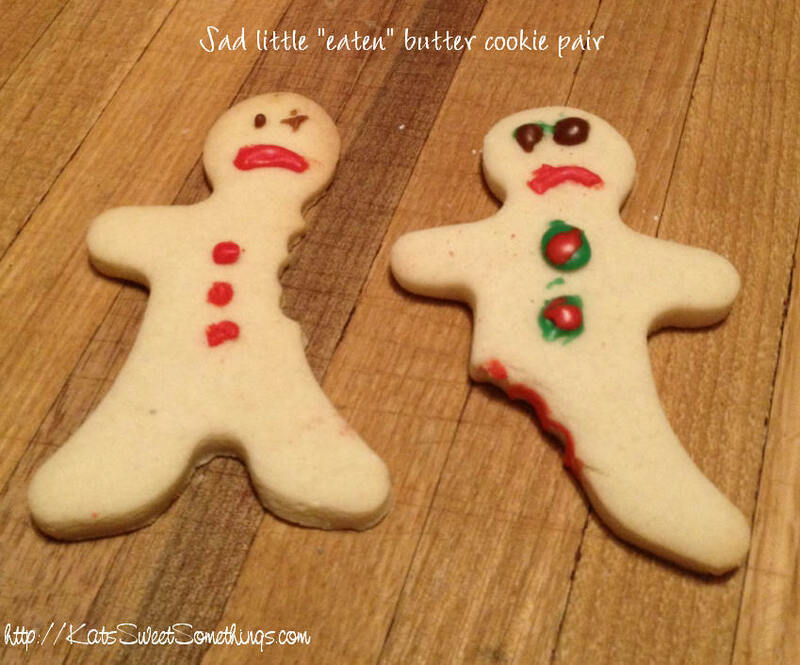 This entry was posted in Baking, Cookies and tagged biscotti, butter cookie, caramel shortbread square, christmas cookies, cookies, eggnog, german chocolate cake, holiday cookies, lemon angel wings, potato chip cookie, raspberry chocolate bar, saltine toffee by katj012. Bookmark the permalink. I was lucky to get a Sampler of all the cookies fro your Mom 9 She was kind enough to share) all were so Yummy.. Thanks Kat for all your hard work. I have to ask: how do you run 3 ovens? !